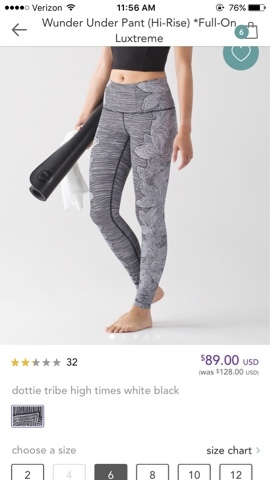 Petite Impact: Did anyone snag a pair of Wunder Under Fullux for $89 today? 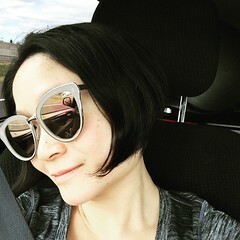 Did anyone snag a pair of Wunder Under Fullux for $89 today? I'm just curious if anyone managed to get a pair and got a shipping confirmation. I definitely saw them on WMTM from my phone and took a screen shot because I just couldn't believe my eyes. Of course my regular size 4 was sold out. I was tempted to try the 6 but they also started to disappear fast. I'm also on the road again so this post may look weird. I'm using the Blogger app. Usually anywhere between 10am-12pm eastern time. So probably pretty early for you if you're on the west cost. Haha yeah, it hasn't been too exciting lately ! I got them! Still not sure how I managed to snag that deal, but not complaining! :) Haven't tried them on yet, but they're beautiful in person and they have totally replaced any craving I might have had for the Florence print ones. So jealous! Lucky! Enjoy them for me!